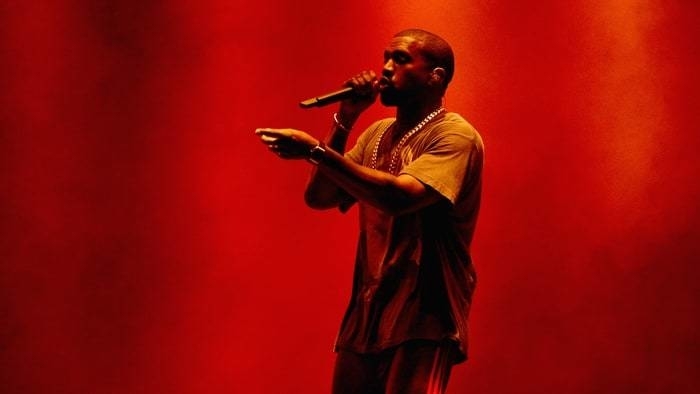 After delivering his first live appearance in nearly a year, Kanye West has reportedly made another move to the forefront. According to a Blogger site, Mascotte Holdings—a holding company for Kayne's trademark—filed four applications to register something called "Yeezy Sound" as a federal trademark. — "Streaming of music, audio, images, video and other multimedia content over the internet, mobile devices, wireless networks and other computer networks and electronic communications networks"
— "Record production; music production; audio recording and production; videotape production; motion picture song production; production of video discs for others; recording studios"
— "Musical sound recordings; audio-visual recordings, namely, compact discs, phonograph records, CD-ROMs, DVDs and downloadable MP3 files all featuring music and sound tracks; downloadable musical sound recordings; downloadable video recordings featuring music"
— "Retail stores, wholesale stores, mail order services, on-line ordering services and on-line retail store services, and retail store services available through computer communications and interactive television, all of the aforesaid featuring recorded product, music related items, audio-visual products, computer goods, software and games"
Considering TIDAL's exclusivity rights for 'Ye were reportedly terminated earlier this year, speculation has surfaced that Yeezy Sound could be West's own streaming service.